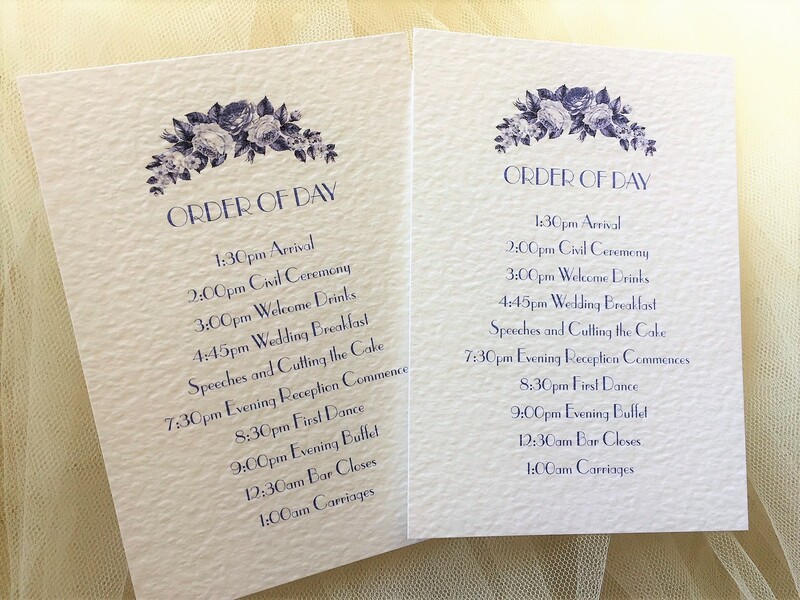 Blue Botanical Wedding Order of Day Cards provide your wedding guests with a schedule of the day and timings so they know what to expect and when on your wedding day. 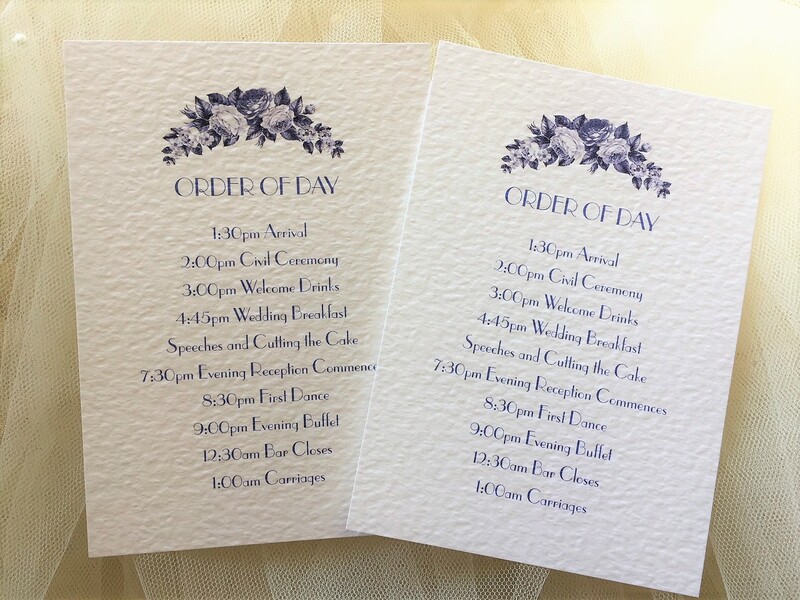 Perfect for guests to take home and keep as a lovely memento of your special day. 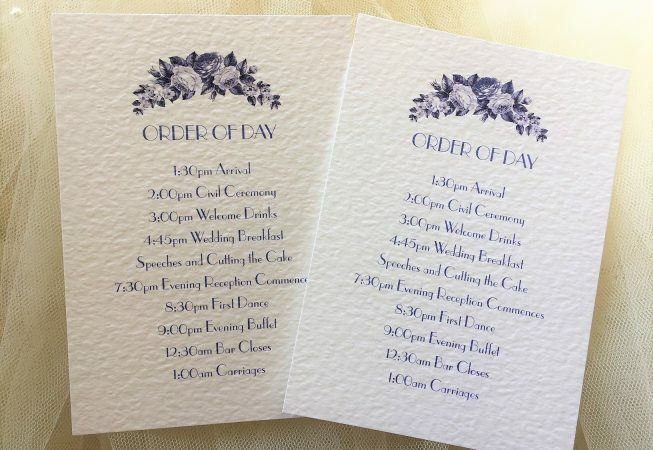 We can print in any colour and font to match a wedding theme. 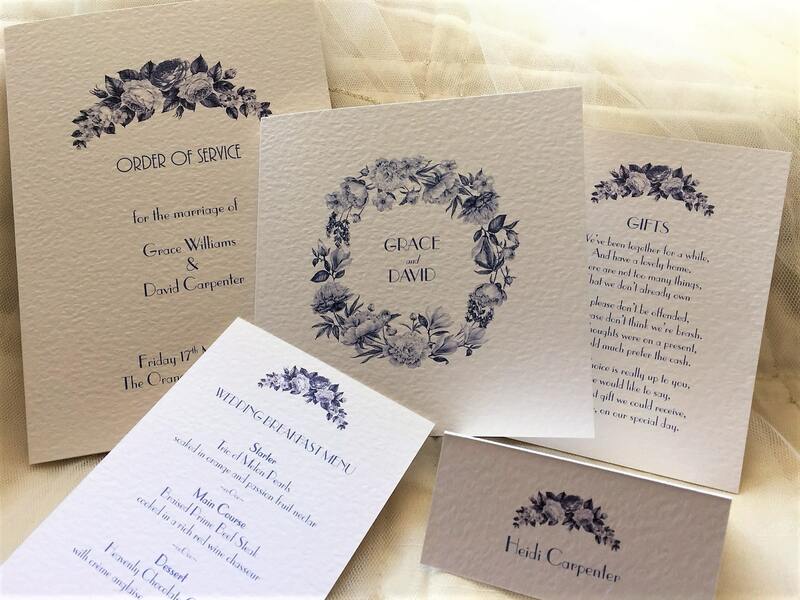 Part of our Blue Botanical Wedding Stationery Range.